Home Love & Relationship What Does It Mean When a Guy Gives You His Password? What Does It Mean When a Guy Gives You His Password? I would not give my password to anyone other than my husband. Since he has locked me out of my own account before (he forgets passwords easily), I’m not even sure about giving him that. If someone else has given you their password, they must trust you a lot. If your boyfriend or a guy gives you his password, there are a number of things that you can probably assume. Our entire lives are online these days. From your bank account to your social media page, you have passwords to protect your entire online identity. If someone had access to your Facebook page, they could damage your reputation and relationships. Likewise, accessing your bank account could cause you financial harm. 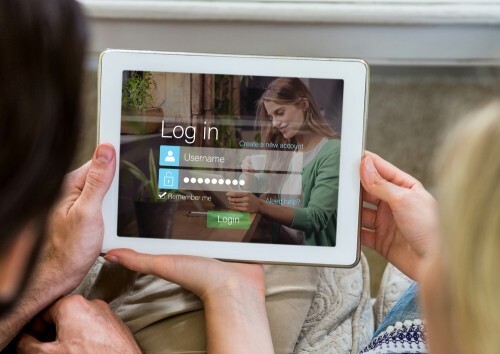 Because of these reasons, most people do not just share their passwords with anyone. If a guy gives you his password, then he must trust you a lot. This is especially true for important things like your social media accounts and bank accounts. There are a couple of passwords that might not be quite as important. For example, many people use a password to lock their phones. On a practical level, you might need to use his phone to call someone in an emergency. He might have given you the password because you already need to use the phone. If this is the case, I would not read too much into it. Giving you the password was just practical, so it might not mean anything. There is also a chance that he is hoping that you will give him your passwords as well. Perhaps he had a girlfriend cheat on him in the past, or he may just have trust issues. The good news is that he realizes that he should not just demand your password. He is showing that he trusts you with his information and is not doing anything wrong. In return, he might be hoping that you show the same trust and give him your passwords. If this is the case, then you have to think about his personality, intentions and the situation. If he is a trustworthy guy who has just been hurt before, there might not be any harm in showing him your information so that he can relax and realize that you are completely trustworthy as well. If he is hoping to get your passwords as a way to be controlling or dominating, then you should not reciprocate by giving him your passwords. Have you asked him where he was late at night or wondered why he did not text back? Have you been cheated on before and talked about how you have trust issues? If so, he might be trying to allay your fears. By giving you his passwords, he is trying to show you that there is nothing to worry about. He wants you to see everything he sends or does because he knows that he is not doing anything wrong. He may be doing this as a way to earn your trust and strengthen the relationship. What password did he give you? If he gave you his PIN because he wanted you to buy something for him or get cash out of an ATM, he could just be acting practically. He obviously trusts you with the information, and he just wants to make things easier for himself by helping you get the item or cash he needs. If he gave you the password for his phone, then it also might be for practical reasons. He may want you to have access to his phone in case of an emergency. He just cares about you and wants to make sure that you can get help if you need it. The underlying takeaway is that he trusts you. No one will give someone a password if they do not trust them. There are a number of reasons why he might give you his password, but there is only one way he would do so: trust. He knows that you won’t do anything crazy with it, so he is trusting you with his password and personal information. With great trust, comes great responsibility. If he is trusting you with his password, then make sure that you deserve that trust. Don’t go crazy and read through all of his messages. Don’t take more money out of his account than you are supposed to. He is advancing the relationship by showing how much he trusts you, so act in a way that deserves that trust. This could potentially boost the quality of your relationship, but that will only work if you act trustworthy and honest with that information. Previous articleWhat Does It Mean When a Guy Gives You His Shirt to Keep? Next articleWhat Does It Mean When a Guy Hides His Face From You?